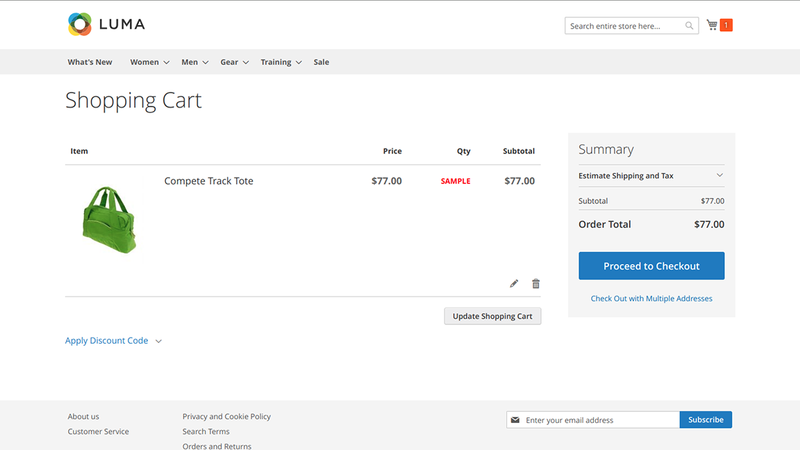 Product Samples extension allows you to add a sample to the product, the extension adds a special button “Order as a Sample” on the product page. Shopping is the most interesting and fascinating job. All over the world sellers search the way to boost their sales and attract the customers. Every day millions of special offers and advantages are thought out by sellers. But what should a customer do when he wants to touch the product before buying a big amount of it? What if you sell the wallpapers, fabrics, carpets or maybe exclusive cosmetics and a customer wants to try a sample of it? It’s a great possibility to boost your sales by selling the product samples. That’s why we created the extension Product Samples. You can offer the product samples to your clients. Just create the sample for each product you need to and offer it to the client. When a customer buys a product sample he can be sure of product quality and it definitely improves your business. 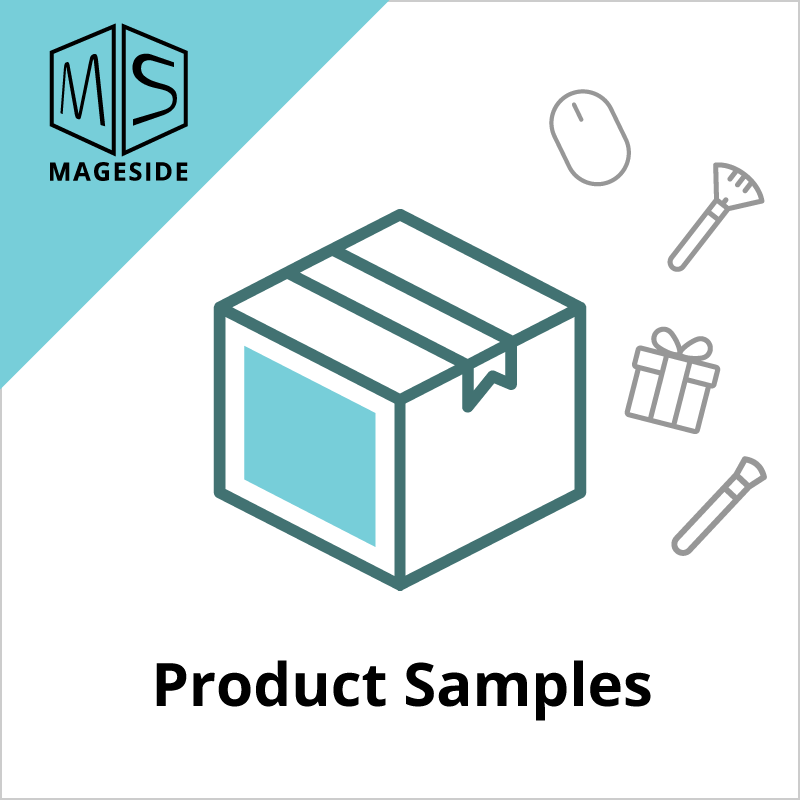 The extension Product Samples allows your customers to order sample products. The extension places a special button on the product page. 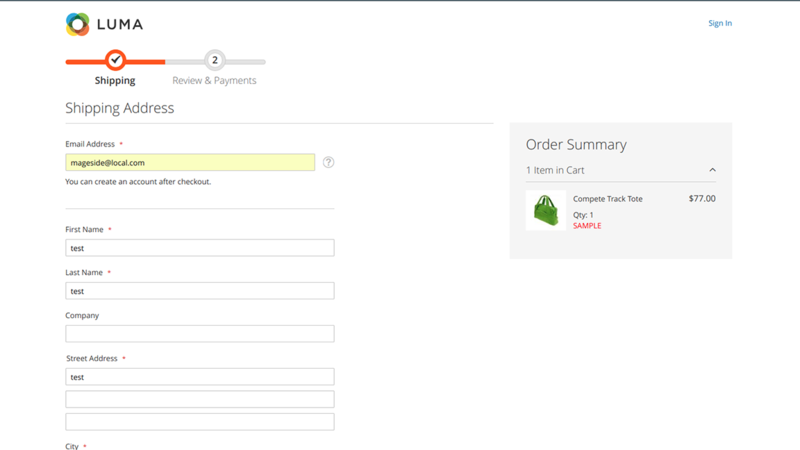 When a customer clicks it, he adds a product sample to his shopping cart and makes regular order. In the shopping cart, such product will be marked as a sample product. Also, an admin can set the price for each sample product and specify the maximum amount of sample products that are allowed per one order. An admin can set up any price for the sample product even for free. 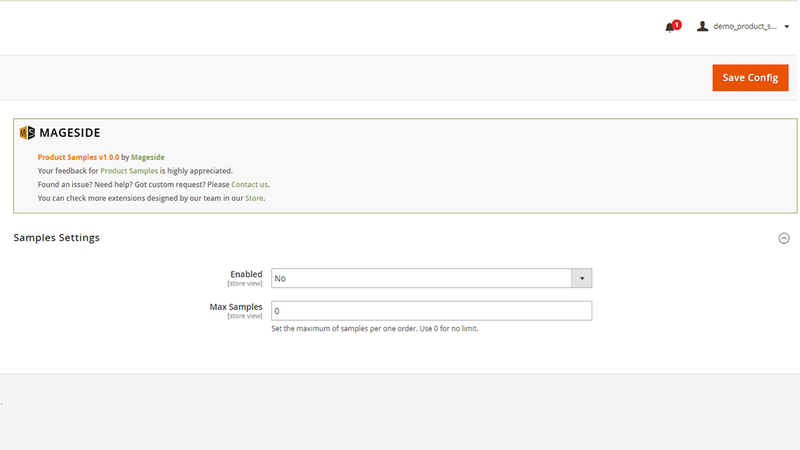 You can restrict the maximum amount of samples per one order. 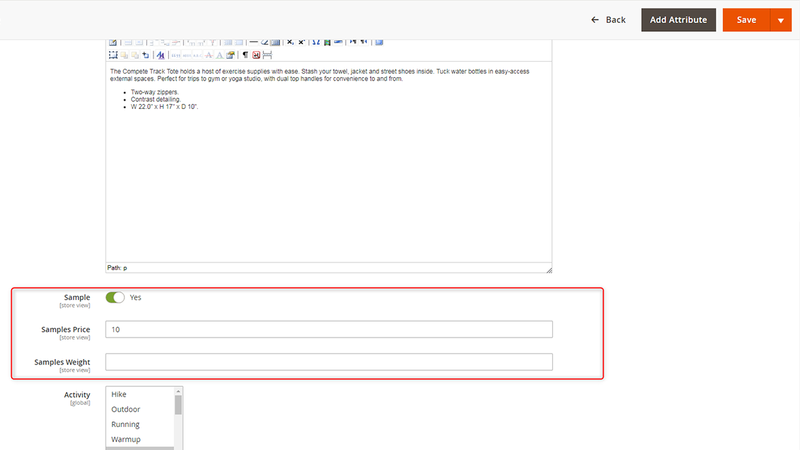 Managing the sample products is the same from the admin panel as the other regular products. 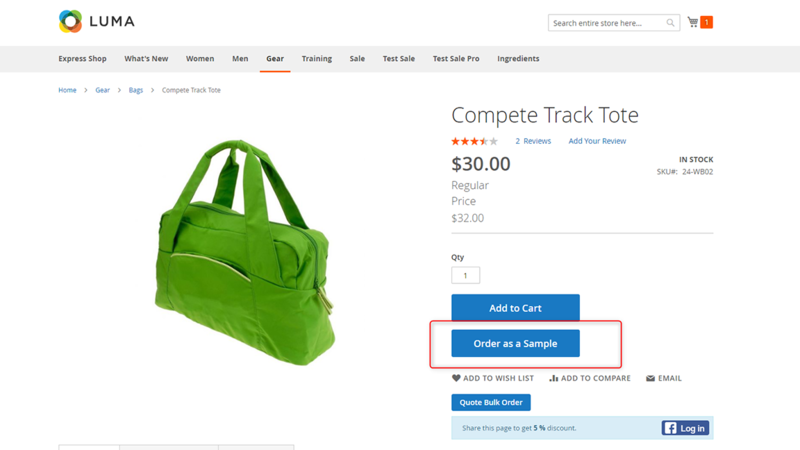 It’s easy to assign sample products. All an admin need to do is to go to product settings and enable the sample option for this product, specify the price and weight if it’s necessary. That’s all, the product sample will be shown on the product page.